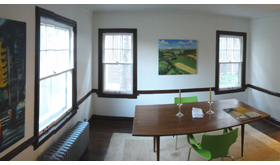 From September 2010-December 2011, MOCK Studio designed an energy-efficient upgrade and remodel of a single-family home in the historic Armour Hills neighborhood of Kansas City, Missouri. 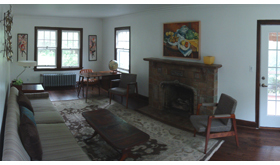 Working with the homeowners as part general contractor, part sub-contractor, and interior designer, MOCK Studio implemented sustainability projects and historic restorations within a limited budget. Improvements included refurbishment and added insulation of all historic windows, “green” foam insulation in the attic and basement rim joists, complete sealing of HVAC systems, overhaul maintenance on steam boiler, installation of a new water heater, carpentry work on banisters and doors, plaster work, painting, refinishing wood trim, tearing up the carpet and refinishing all the hardwood floors, and interior decorating. All waste materials were separated and recycled or reused to minimize construction debris and waste.